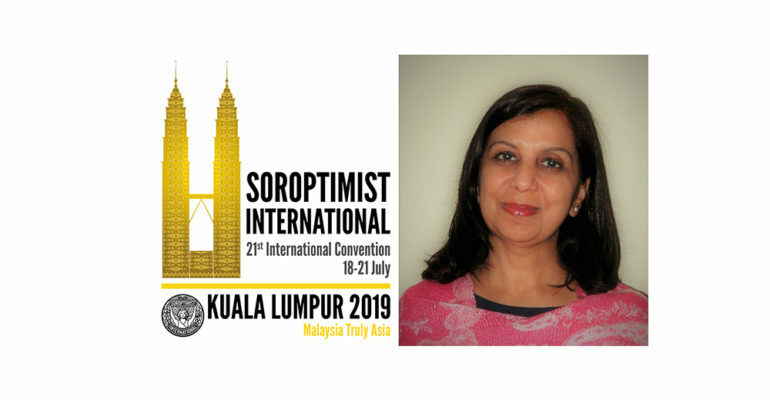 An array of dedicated and inspiring speakers have committed to contribute to the 21st SI Convention from 18-21 July in Kuala Lumpur. This post introduces Kanta Kumari Rigaud, lead environmental specialist at the World Bank. She will be one of the plenary speakers in Sunday’s session ‘Climate Action Plan’. A great session and an important one, as Soroptimists must unite and act now in response to the threats of climate change. Visit HERE to view the full programme. This is an event you don’t want to miss! “We could see increased tensions and conflict as a result of pressure on scarce resources. But that doesn’t have to be the future. While internal climate migration is becoming a reality, there need not be a crisis if we plan for it now,” says Rigaud. That preparation needs to include making economies less vulnerable to climate change, helping farmers adapt their growing techniques, and making city infrastructure more resilient to storms, rising sea levels, floods, or drought, the study noted. Cities also need to create enough jobs and boost health and education services to meet the needs of the growing number of people migrating to urban areas. Rigaud is currently leading the update of the Africa Climate Business Plan. Earlier, she spearheaded and managed adaptation and conservation initiatives involving agricultural and rural landscapes in Yemen, Jordan, Tunisia, and Morocco and helped countries mobilize climate financing. She holds a Ph.D. from the University of East Anglia and is a recipient of the British Chevening Scholarship and the World Bank Graduate Scholarship award for her doctoral dissertation. Rigaud has more than 30 publications and reports on natural resources and environmental and climate issues.